Monterey - A Celebration of Life is planned for Carolyn Gene Allen Thibeau, 90, a long-time resident of Monterey, who passed away on January 13, 2018. The gathering of family and friends will take place at the Monterey Elks Lodge, 150 Mar Vista Drive, Monterey, CA on Sunday, January 28th from 1pm - 4pm so all can share beloved stories and treasured memories of Carolyn/Mom/Grandma. Carolyn was born in Farmington, Arkansas, the third of five children, to George Dillard Allen and Anna Belle Brooks Allen on September 22, 1927. 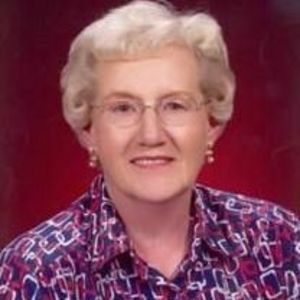 She graduated from Farmington High School in 1945, and from Sparks Memorial Hospital School of Nursing in Fort Smith, Arkansas in 1948. In June of 1949 while still in Fort Smith, she married US Army Captain Roy Sterling Thibeau of Fort Fairfield, Maine, and together they traveled and shared adventures both across the United States and abroad. The family was stationed early on in Germany and France (where she ventured out to neighboring countries), and stateside in Virginia, Arkansas and California. Carolyn would proudly proclaim to have visited 48 of the 50 states, and later in life traveled with her sister Amy and other dear friends to Thailand, China, Ireland, the Czech Republic, and cruised across the Mediterranean Sea. Following Roy's retirement in 1960 as a Lieutenant Colonel, and having fallen in love with Northern California, the family settled first in Antioch and later in Monterey. During that time Carolyn went into two long and very successful careers in nursing, first at Antioch Hospital/Delta Memorial Hospital where after 20 years (1960-1981) she retired as the Director of Nursing. Subsequently moving south to the coast, and still with a passion for the art of nursing, she put in another 15 years (1981-1996) at Community Hospital of the Monterey Peninsula, retiring as the Director of Social Services. She is preceded in death by her husband, parents, and siblings Amy Scales, James Allen, George Allen Jr., and William Ronald Allen. Her legacy lives on in her sons Allen (Marilyn) and John (Marcie), her beloved grandchildren Matthew Thibeau, Theresa Thibeau, Evan Thibeau (Sarah), and Alex Thibeau, her niece Rhonda Prenger and nephews James Allen, Jeffery Allen, Walter Scales, and Johnathan Allen, and dearest friends (truly more like daughters) Kathy Davis-Herr and Margaret Georgen Bettencourt, who help care for her later in life. Following the celebration of life, a private family inurnment will be held at Golden Gate National Cemetery in San Bruno, CA. In lieu of flowers, the family asks that donations be made in her memory to the We Care - We Share Employee Giving Campaign at Community Hospital of the Monterey Peninsula.